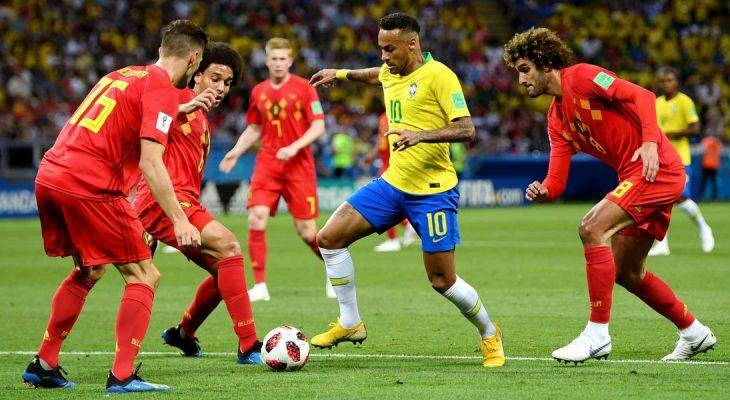 Belgium knocked off World Cup favourite Brazil 2-1 on Friday in the quarterfinals, moving on to the semifinals to face France. Kevin De Bruyne’s winner sets up what is guaranteed to be an all-European semifinal on both sides of the bracket. Belgium took a commanding 2-0 lead in the first half, looking sharp in the middle in the process, and Roberto Martinez’s team was able to hold on late as Brazil looked likely to follow up its first goal in the match with an equalizer. An inspired, world-class Thibaut Courtois made numerous key saves, including one in the 94th minute to keep Neymar out. There was no doubting the incredible talent of this Belgium squad heading into the World Cup, only the nagging question of whether or not a group of players from a country outside the historic elite could convince themselves of their superiority when it truly mattered. They provided the most emphatic of answers at Kazan Arena. 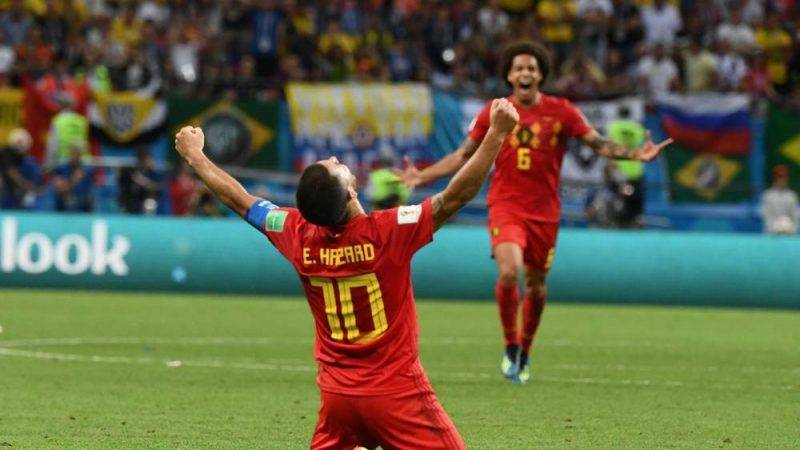 It is a strange paradox that the victory that will be regarded as this Belgium team’s coming of age also raised more questions than answers about their World Cup chances. They looked terrified in the opening exchanges as Brazil started confidently, and might have been as much as 3-0 down by the time Fernandinho found his own net. Once ahead they had the luxury of playing on the break, which begs the question as to why Brazil were able to counter them with such alarming regularity in the second half. Augusto’s header to give Brazil life was totally unmarked, and both he and Coutinho missed gilt-edged chances to level the match. Martinez’s insistence on leaving three men upfield was admirable but surely unwise against such talented opponents. Belgium may not be afforded the luxury of a lead against France in the semi-final. They almost certainly won’t have the luxury of being so lax in defence. On a glorious night in Belgium football history, there was one negative as defender Thomas Meunier picked up another booking and will be suspended against France.